Schleich understands children are our future. They are important to everyone in our society. The toys they play with need to be the best quality from a safety, educational and entertainment aspect. All Schleich products meet these requirements. Schleich sets regulations for their products which are even stricter than the law. All Schleich suppliers are held to strict quality control. Schleich is headquartered in southern Germany. They also have production centers in Portugal, Tunisia and China. All production premises are regularly visited by Schleich staff to ensure fair and socially supportive working conditions. The main materials used to create Schleich figures are plastic and a plastic softener. The softener was developed and tested by BASF. These materials have been approved for use in the toy industry as well as food packaging and the medical field for things such as blood bags and breathing tubes. Playing with Schleich is old-fashion role play. There are no rules, limits nor instructions. This encourages limitless creativity and imagination. There are no limits on where you play or how you play. 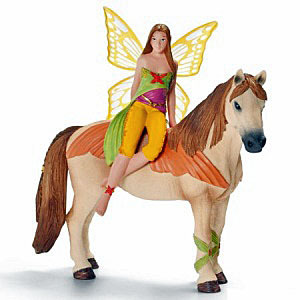 Schleich figures help promote children’s development. Through imagination and creative play Schleich figures help them to learn sustainable values which will prepare them for a joyful and positive life. Schleich – a miniature world for little hands.